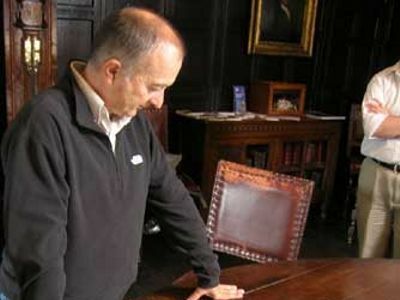 In this popular and (literally) groundbreaking programme, Tony Robinson and a team of experts travel the country to investigate a wide range of archaeological sites of historical importance. The team are at Syon House in Chiswick, West London, one of the country's best-preserved stately homes. Few people know that in its grounds once stood a 16th-century abbey. 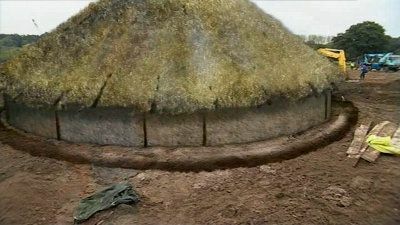 Scotch Broch - Iron Age life at Applecross near Skye. Tony and the team journey to Applecross in the north west of Scotland to excavate a broch, a monumental stone tower that was amongst one of the largest Iron Age structures in Britain. Archaeology series presented by Tony Robinson. The team travel to what is now a quiet rural valley in Staffordshire, but which for centuries was the epicentre of Britain's iron industry, home to a mass of furnaces, blacksmiths and other highly-skilled iron workers. The Team pieces together the history and the layout of a very special wedding present – Scargill Castle, in the remote wilds of County Durham. 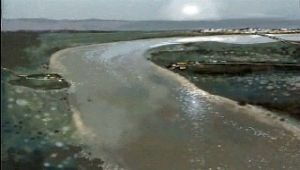 The team have three days to investigate if Green Island in Poole Harbour was the centre of an industrial heartland. Rubble at the Mill - The birth of the Industrial Revolution in Manchester. The team set to work uncovering Manchester's first cotton mill, built by one of the fathers of the Industrial Revolution, Richard Arkwright. Over three days the team uncover the remains of a complex factory as they search for the heart of the first mill: a revolutionary steam engine that was decades ahead of its time. 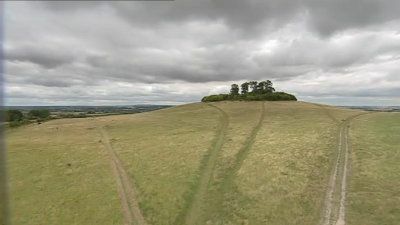 The Time Team piece together one of the most extensive Iron Age landscapes ever discovered in Britain as they explore the surroundings of the impressive Iron Age fort in Wittenham. 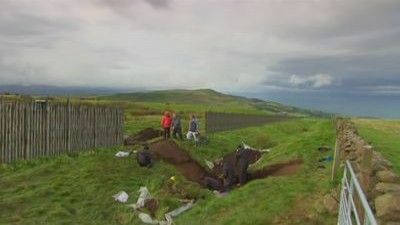 Working with archaeologists from Queen's University in Belfast, the Team takes up the challenge to unlock the prehistoric secrets of the headland at Knockdhu, County Antrim. The Archbishop's Back Garden. Historically it was believed that the original Roman road into London veered east and crossed the river at Tower Bridge, placing the original site for the Roman capital of Londinium in the financial centre of the modern day city. But 60 years ago an amateur archaeologist, Bernard Davis, upset the status quo when he excavated what he believed to be the remains of the first Roman road into London - in the gardens at Lambeth Palace. Yet the existence of the road has never been verified and the site left unexplored. 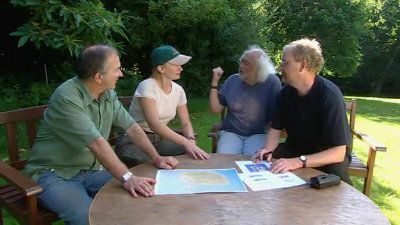 The Time Team have just three days to try and relocate Bernard Davis' Roman road and solve some of the fascinating questions its discovery poses. Did the first road the Romans built into London really cross the river at Lambeth rather than Tower Bridge and if so, does this mean that Lambeth, and not the City, was the site of the original Roman settlement? Groby Old Hall in Leicestershire was once home to the legendary White Queen: Elizabeth, the wife of Edward IV. The Team are here to help the new owners, who have saved the house from dereliction, to find out what has gone on in their garden over the centuries. It's full of tantalising glimpses of archaeology: a medieval wall with a window, carved stones and what looks like the remains of a Norman castle. One of the first spitfires lost in France. It was on 23 May 1940 that a young English pilot climbed into the cockpit of his Spitfire to join a formation of aircraft flying across the Channel to help defend troops retreating in the face of the Nazi advance. Paul Klipsch, aged 24, had never flown in a combat mission before; he was never to do so again. The young pilot was shot down over northern France. He had become one of the first of the 1,500 Royal Air Force pilots who were to give their lives during the early period of the Second World War. The RAF's combat report recorded simply that he had been 'Killed in Action'. The place where his plane came down, in a farmer's field outside the small French village of Wierre-Effroy, near Boulogne, has always been known. Two brothers, Auguste and RenÃ© Mierlot, had seen it shot down by a Messerschmitt 110, at about 6pm that May evening. They remembered it well because half an hour later German troops entered their village. Despite the Nazi presence, local people retrieved Paul Klipsch's body from the remains of his aircraft and buried him in the village cemetery. His grave, now marked with an RAF headstone, remains there to this day. But while the time and place of this young pilot's death had long been known, we still knew little about how and why his Spitfire crashed. 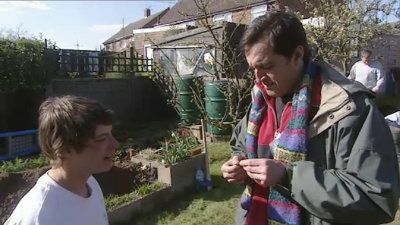 Time Team decided to see what could be revealed. On the surface it looks just like any other large Lincolnshire field. But when a pipe was laid across it a couple of years previously the trench dug then revealed a number of shallow graves. An exploratory dig in 1998 identified them as Anglo-Saxon – on a site which also threw up large quantities of Roman remains. An earlier water pipe, laid in 1954, had uncovered a lot of Roman pottery here too. So what did it all indicate? 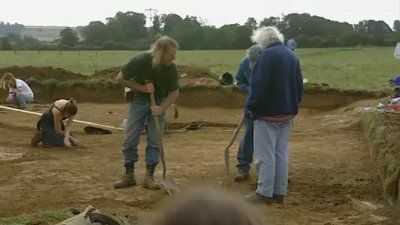 And what could Time Team learn about this possible Anglo-Saxon cemetery and former Roman settlement in the three days available?. The crumbling ruins of Codnor Castle are a sad remnant of the imposing home of the De Grey family - knights who saw action in almost every important medieval battle including the crusades and Agincourt. Today Codnor Castle lies in ruins and there's almost nothing known of how it looked in its prime. 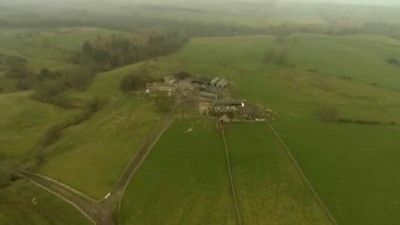 As the remains above ground get an overdue renovation, the Time Team risk the dangers of hidden mine shafts in the Derbyshire coalfields to dig into the heart of a building that once dominated the landscape to trace the castle's history. 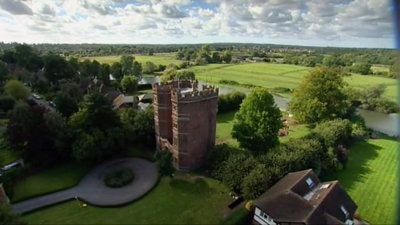 It lives up to the team's hopes as they strike gold with a 600-year-old gold noble coin as well as uncovering a huge round tower and, for the first time in the history of the programme, a drawbridge. 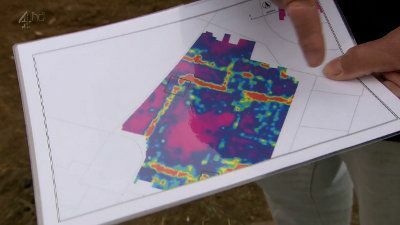 Tony and the Team get a unique opportunity to dig at an army firing range at High Ham in Somerset, and investigate a series of mosaics first discovered 150 years ago. The mosaics hint at a grand villa but as this part of Somerset has been in constant use by the army for the last century and a half, no one has ever had a chance to really see what's under the ground. To everyone's surprise the initial results suggest there's been more than one villa on this site. Over the following days a story emerges of the highs and lows of Roman life in Britain, from the grand rooms used for entertaining to the pitiful lives of the slaves who lived on the edge of this high society. The archaeology is impressive but the weather's not, and as the temperatures plummet the Team hold a crisis meeting. Could this be the first time in the programme's history that the conditions force the diggers to down tools? 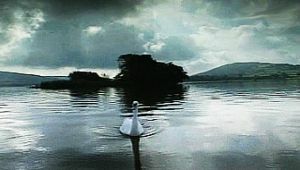 The Fortress in the Lake. In the Dark Ages, a powerful king decided to show how powerful he was and built a man made island in the middle of a lake and stuck a palace on top of it. Who was the king and who were the builders and what happened to them all? 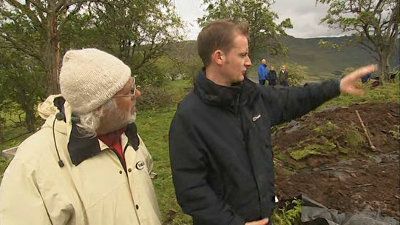 The time team visits the site of this Dark Age man-made island, known as a Crannog, in Llangorse Lake near Brecon in Wales. 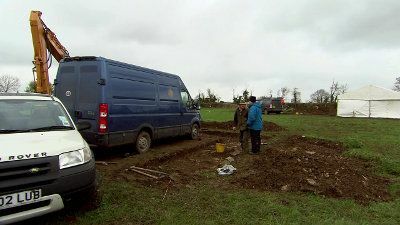 Tony Robinson and the team return to the site of a previous dig in 1998 which unearthed a Roman villa in the Cotswolds. They discover that the villa dates from the very first days of the Roman occupation. Amongst their new finds is an entire, untouched Roman water course. 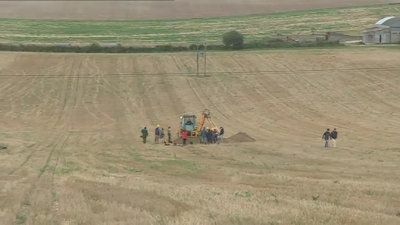 The team search for the remains of the largest Roman villa in East Anglia, digging up a suburb of Ipswich where Basil Brown first uncovered Roman remains back in the 1940's. 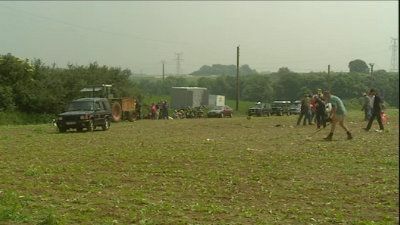 The archaeological experts investigate various burial sites on a farm in Dorset which is situated in an area teeming with evidence of Bronze Age, Iron Age and Roman activity. But untangling all the elements to determine exactly what relationship exists between the dead and their surroundings is a monumental task. #19 - Esher, Surrey - The First Tudor Palace? The First Tudor Palace? The team visit Penny Rainbow's Surrey home that is all that remains of a palace that was grand it inspired the design of Hampton Court. Over three days they piece together the story of a site that evolved into one of the most stunning buildings of early Tudor times. Thirty years ago the Legg family took over this farm in West Dorset, almost immediately they discovered that one end of this field was difficult to plough and they put it down to the stony soil. But then earlier this year Roman finds started to crop up all over the field. Roof tile, pottery, Roman coins, broaches, what’s going on? The Legg’s are itching to know. Is there a Roman building here that could account for their broken ploughs. Time Team’s got just three days to find out and let them know. Birthplace of the Confessor. 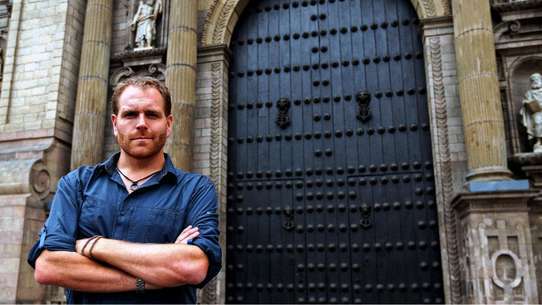 The team descend upon the sleepy Oxfordshire village of Islip, the birthplace of Edward the Confessor, for one of the most challenging and intriguing excavations of the series. The villagers of Islip are celebrating the millennium of Edward's birth and want the team to discover the location of a medieval chapel dedicated to their famous former resident. The Taxman's Tavern - A Roman Mansion. 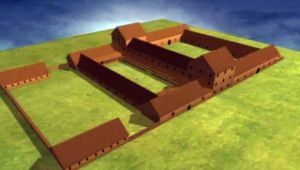 Time Team travel to Alfoldean in Sussex to uncover a Roman coaching inn, and the story of the whole settlement. 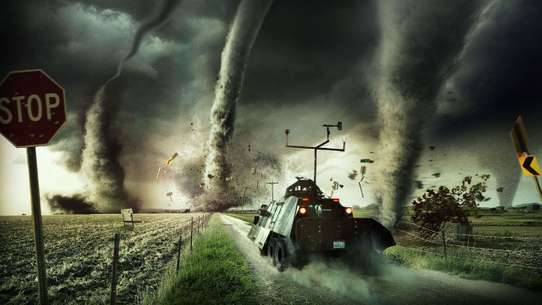 Atrocious weather and the sheer scale of the site push the team's resources to the limits. 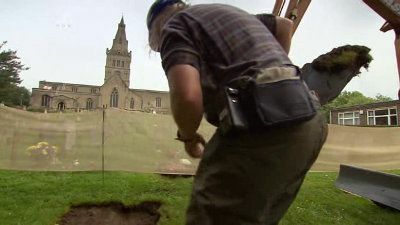 The Team face one of their strangest challenges ever: digging through a church graveyard in search of what could be one of the largest Roman structures ever built in Britain. Tony Robinson and his band are here at the request of the Reverend William Burke, vicar of the historic St Kyneburgha's church in Castor, Cambridgeshire. Under very close supervision, the Team must dodge the thousands of burials in the graveyard to get to an ornate mosaic floor that was reportedly discovered almost 200 years ago. 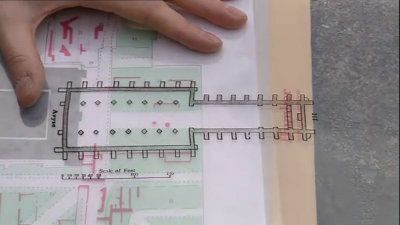 It could be the missing link in a village that is crammed with massive Roman walls and old reports of exquisite finds. 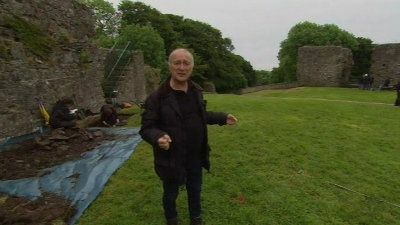 Tony and the Team search for the remains of a renegade knight's Norman castle in one of Northern Ireland's most picturesque spots. 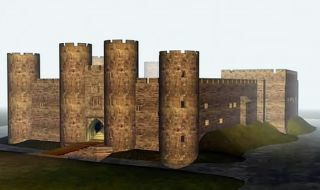 King John sent John de Courcy to Ireland in 1170 as part of his invasion force, but de Courcy rebelled against his king's orders, instead establishing his own small kingdom and building a fine castle to defend it. King John refused to tolerate his disobedience and sent the loyal Hugh de Lacy across the Irish Sea to defeat him. De Courcy's castle was rebuilt, and much of its replacement is still standing. 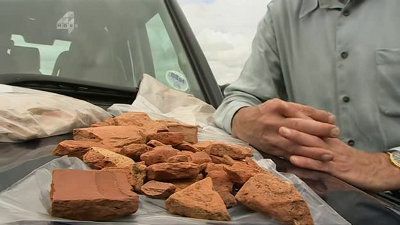 But the experts are convinced that some of what remains dates from de Courcy's time, and the archaeologists set out to find the lost structures. But as they survey and dig within the huge castle walls, they are in for a big surprise. It seems the site was occupied by tribal chiefs for many centuries before anyone had even heard of the Normans. 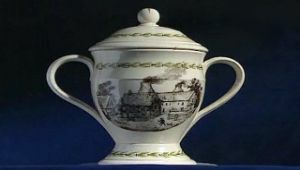 Everyone knows the name of Wedgwood when it comes to pottery, and this is what they have in mind, this blue and white design, it’s famous throughout the world. But few people know that it was here in Burslem on the outskirts of Stoke-On-Trent, that Josiah Wedgwood’s climb to fame and fortune first began. This is actually the site of his first factory, which was at the heart of the pottery industry when it took off in the eighteenth century, but does any of it remain under the paving stones of present day Burslem.